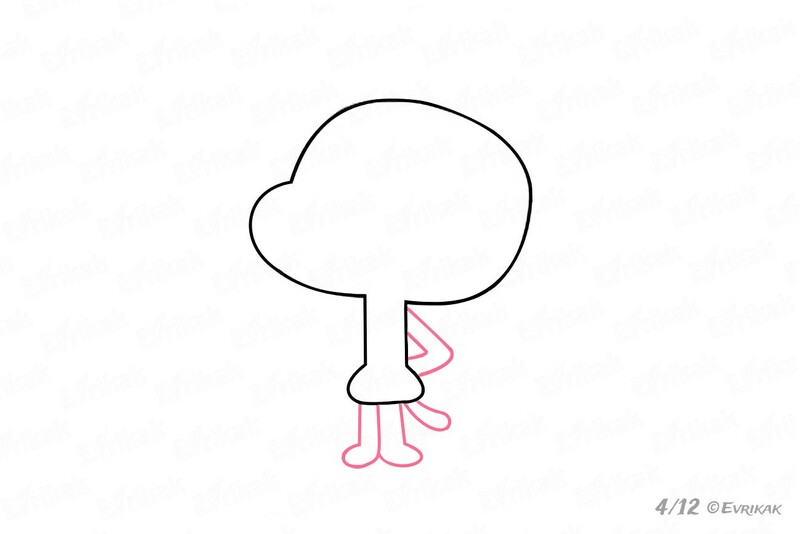 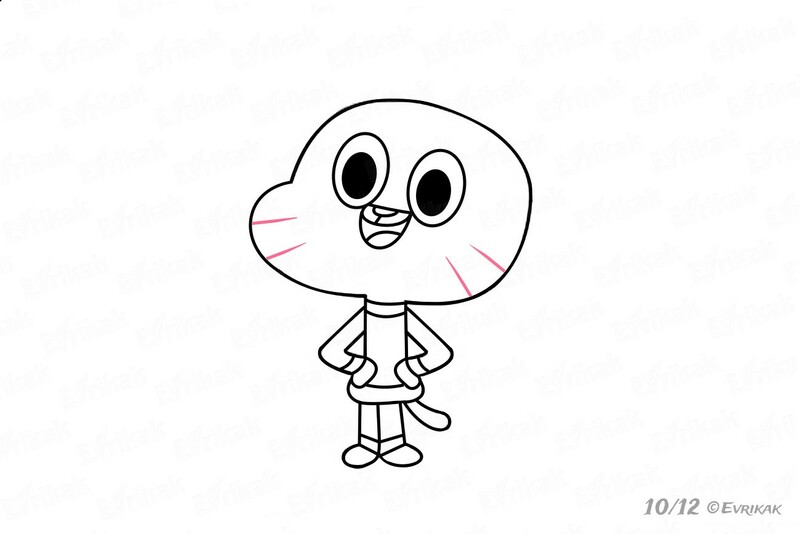 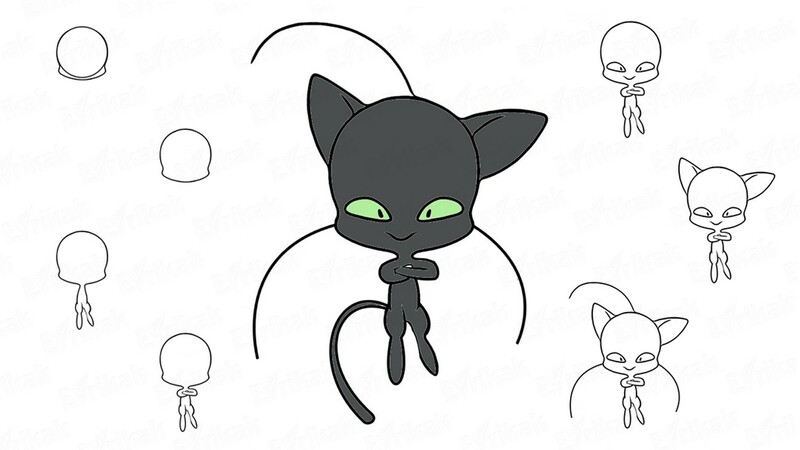 How to draw a cat from the cartoon "The Amazing World of Gumball"
Today we are going to draw the main character of the cartoon “The Amazing World of Gumball”. Do you like the idea? 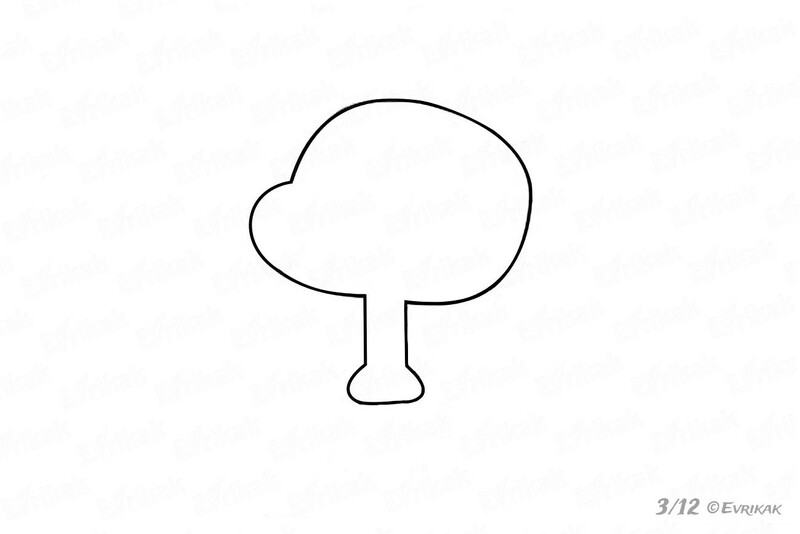 The head is oval, the body is elongated and thin. Draw the short legs, a tail and one arm. 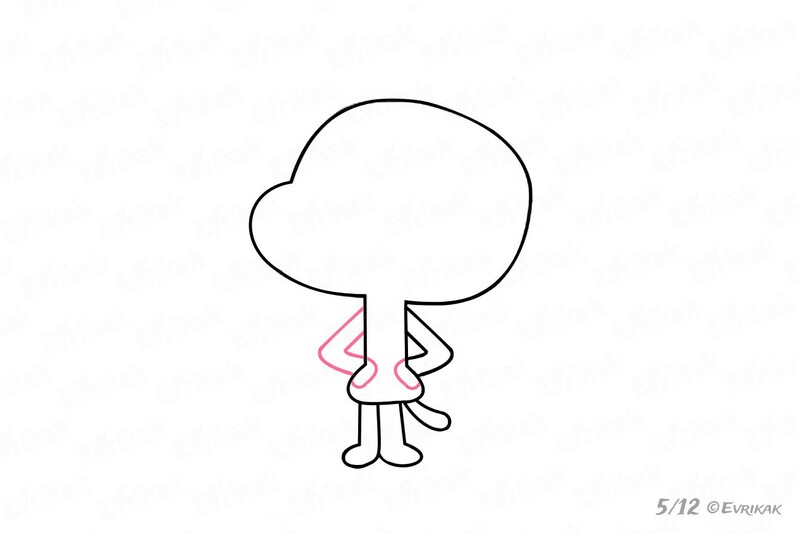 Draw a couple of strokes on the clothes. 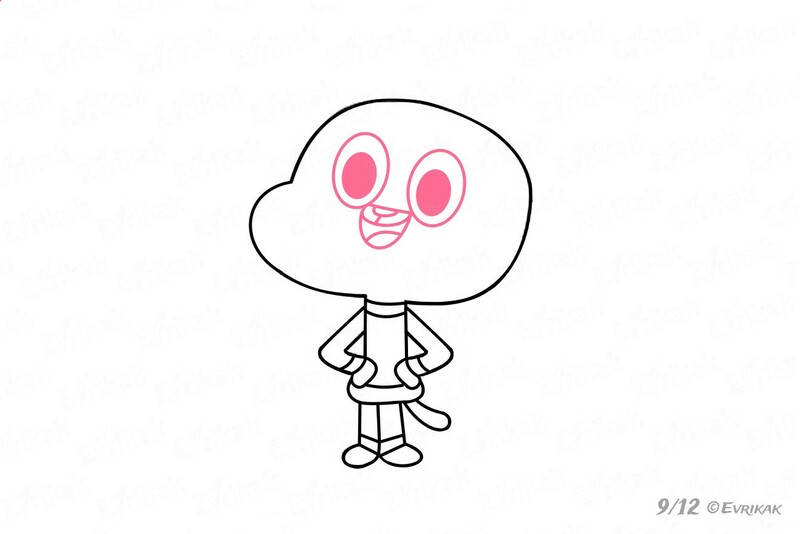 The eyes are big and round. 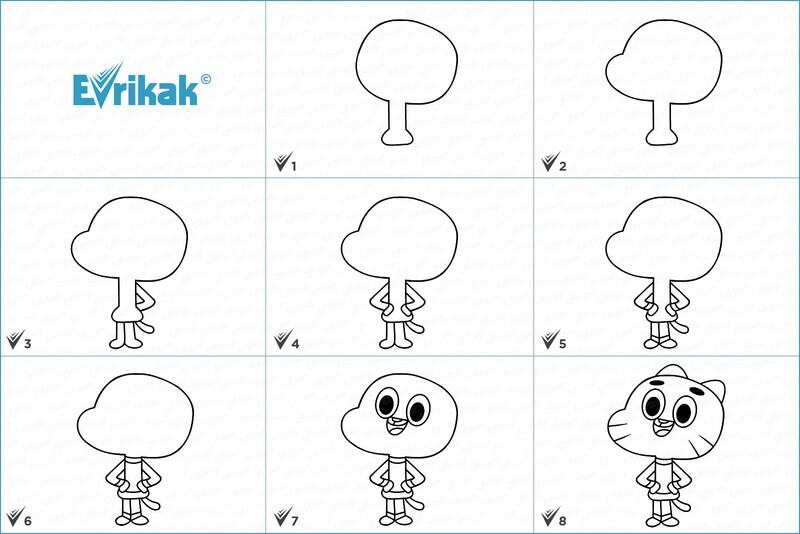 Draw the mouth. 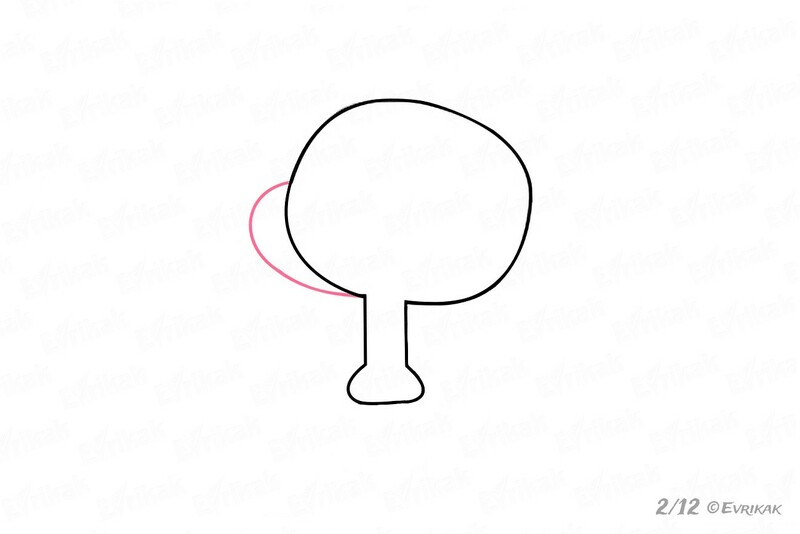 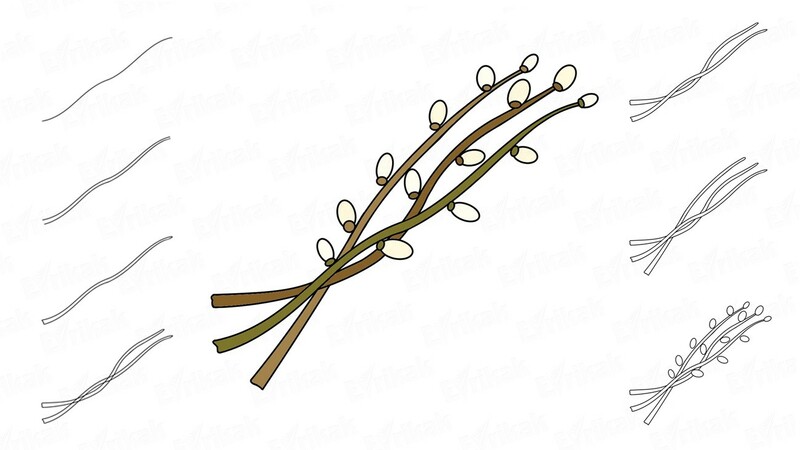 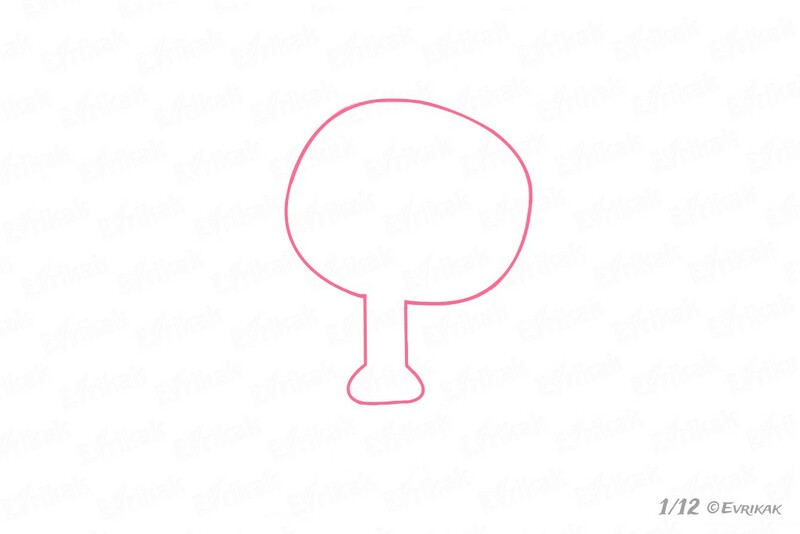 Draw the lines which indicate the whiskers. 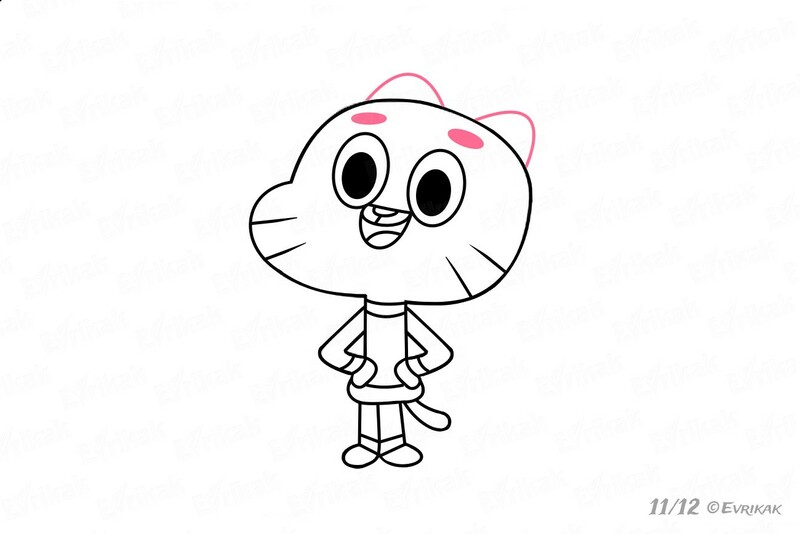 Draw small ears and eyebrows. 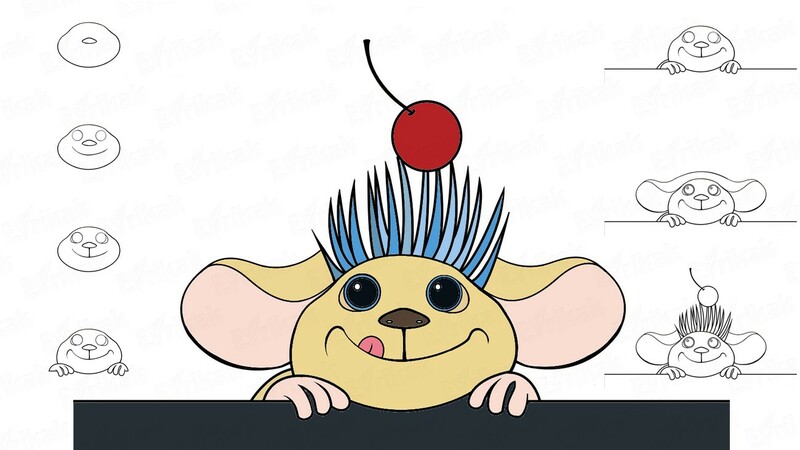 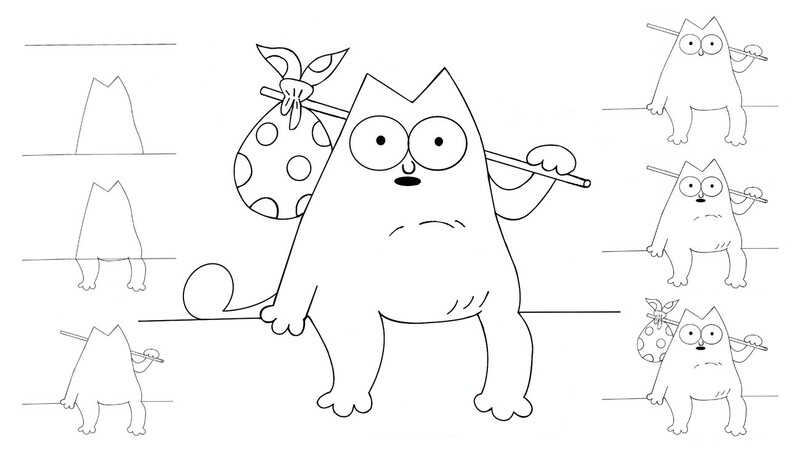 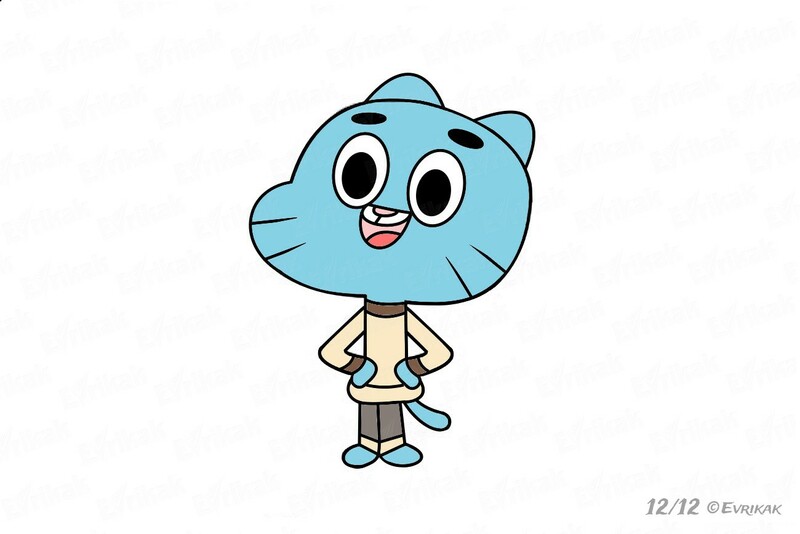 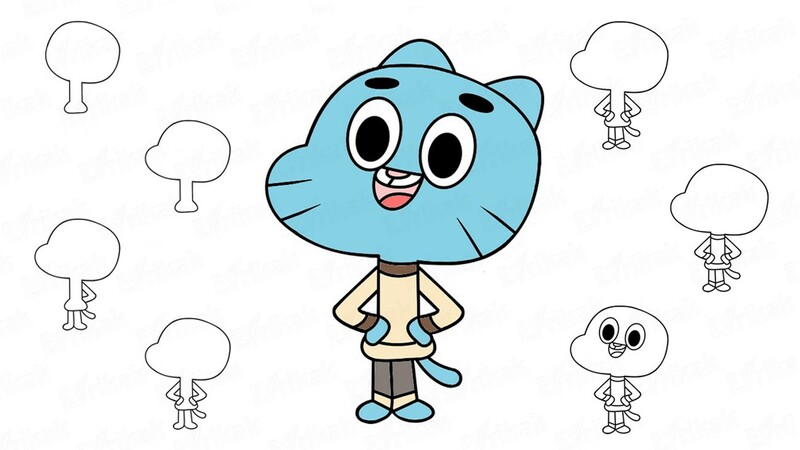 You can color Gumball the cat with the help of the crayons, the watercolors or the markers. 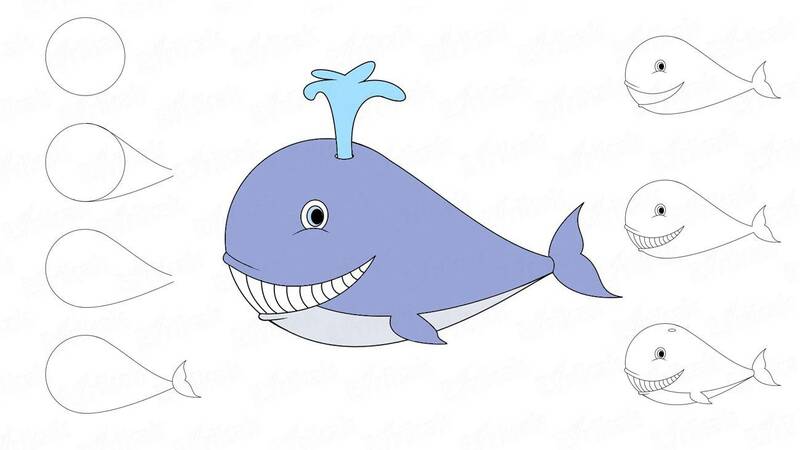 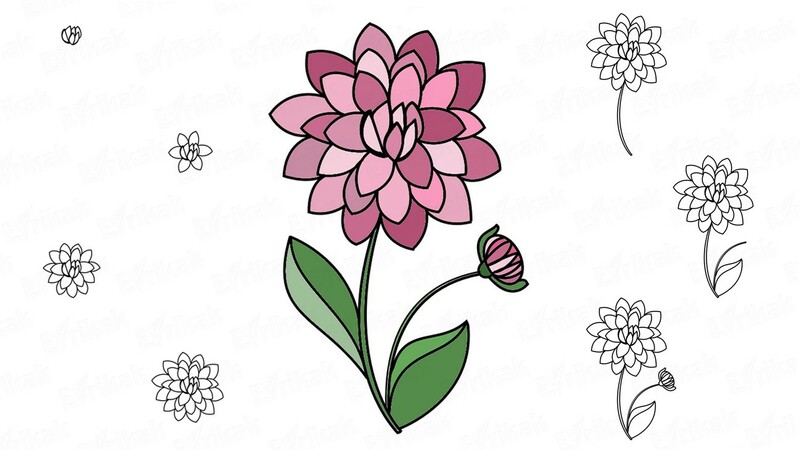 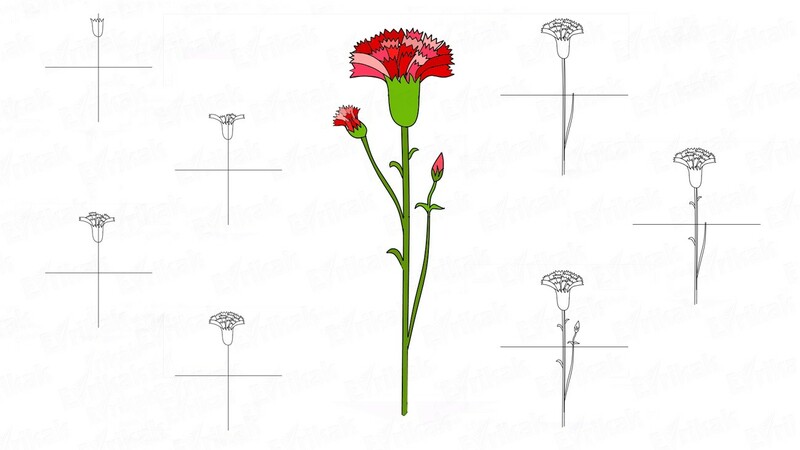 You can color the drawing online.